The Supreme Court recently slapped a notice on RJD chief Lalu Prasad Yadav in nexus with the embezzlement episodes of 1990s during his tenure as a CM of undivided Bihar. 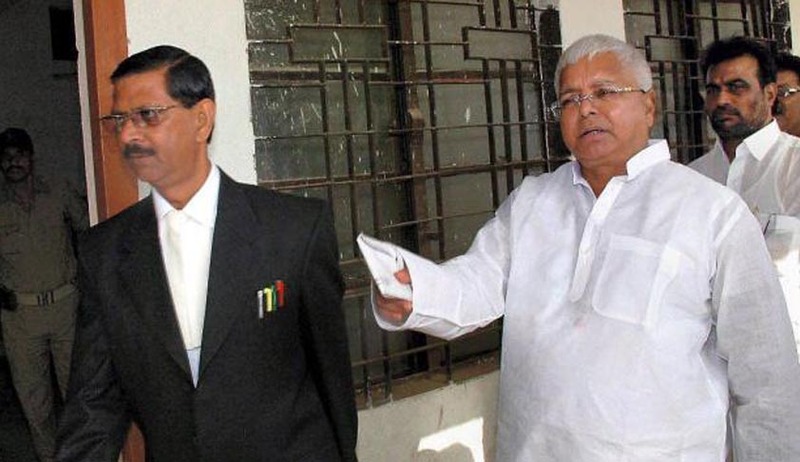 The Jharkhand government, through the CBI, challenged the State High Court's decision in November last year to partly quash charges, including those under the Prevention of Corruption Act, against veteran politician Mr. Lalu Prasad in an embezzlement case associated with the fodder scam. Subsequent to the High Court decision being brought to its cognizance, a Bench of Justices Madan B. Lokur and S.A. Bobde issued notice to Mr. Prasad. He has four weeks to file his response. It is to be noted that the High Court had stopped criminal proceedings against Mr. Prasad on the ground that he cannot be found guilty of the same offences twice under Section 300 of the Code of Criminal Procedure. At the time of the High Court decision in November 2014, he was already sentenced to a five-year rigorous imprisonment in a corruption case linked to the fodder scam, involving the withdrawal of over Rs. 37 crore from the Chaibasa Treasury during the period of 1994-95 on the basis of 78 fake allotment letters. The sentence had immediately led to his disqualification from Parliament and barred him from elections for 11 years. The matter also pertains to falsification of records and the withdrawal of Rs. 84.53 lakh, from the Deoghar Treasury during the period 1991-94. The High Court quashed charges of criminal breach of trust by public servant, cheating, various counts of forgery, fraud, falsification of accounts and offences under the Prevention of Corruption Act on the ground that the allegations in this case and the earlier Chaibasa Treasury one were the same. In this case, six other politicians and four IAS officers were also sentenced to prison terms for fraudulent withdrawal of Rs. 37.7 crore from the Chaibasa Treasury when Mr. Prasad was heading the RJD government in Bihar (Jharkhand had not been formed then) in the early 1990s. Mr. Prasad was convicted in Chaibasa matter in October 2013, however he had received bail from the Apex court in December the same year.